This property is directly associated with the initial period (1902-1920) of downtown commercial expansion that occurred due to local economic prosperity after the Klondike Gold Rush and in tandem with explosive population growth and suburban residential development. During this era, modern urban architectural scale began with the construction of the earliest steel-frame highrise buildings and the establishment of a concentration of banking enterprises and department stores along Second Avenue from Cherry Street to Pike Street. The initial regrading of Denny Hill and the commercial redevelopment of the former University Grounds (University/Metropolitan Tract) were major factors that facilitated northward and eastward commercial expansion. A significant number of extant commercial properties dating from this era remain within the downtown commercial core, including: numerous hotels, banks, business blocks and early highrise commercial buildings, as well as some specialty and department stores, clubhouses, apartment houses and theaters. While the original residential district was almost entirely composed of single-family homes, it did grow to include several meeting and fraternal halls and numerous churches. This pattern continued despite ever-increasing commercial real estate development of residential properties throughout the early decades of the twentieth century Several major new churches, fraternal halls and club buildings - typically designed by leading architects – were constructed in the commercial district during this era, As an organization, the Young Women’s Christian Association (YWCA) has a history of over 110 years of community service in downtown Seattle. The YWCA was originally established in Great Britain in 1855 with a mission of dedication to serve the needs of working class women throughout the world. In 1866, the first YWCA in United States was founded in Boston. 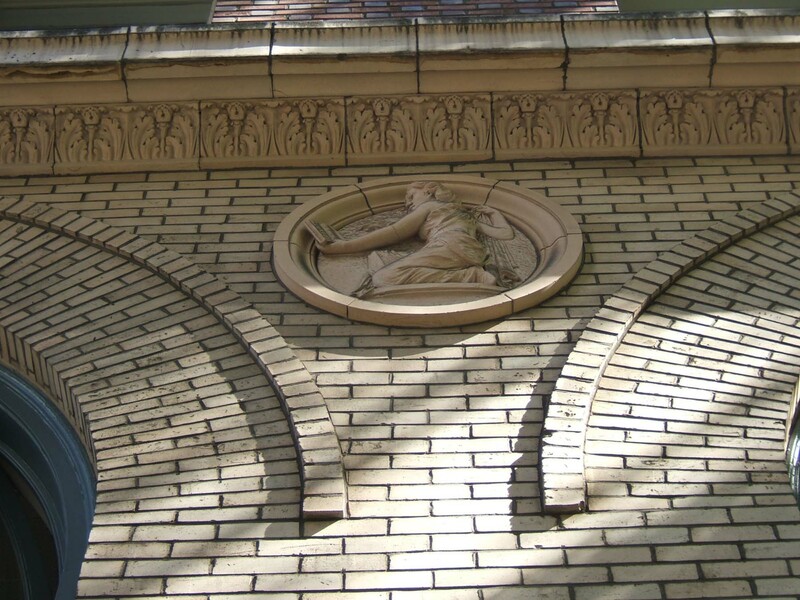 The Seattle YMCA was established in 1894 by a group of 28 women in order to provide a wholesome environment for young women, and to assist “the working girl” toward self-reliance and independence. The Association’s mission was to provide a secure environment for the ever-increasing number of self-supporting women who were migrating to fast-growing urban centers - like Seattle - during the late nineteenth and early twentieth centuries. As waves of young women arrived from small towns and rural communities the organization created a Traveler’s Aid program to ensure they found proper and safe housing, meals and recreational opportunities. From the beginning, the organization adapted its services and facilities to meet community needs. After the 1906 San Francisco earthquake, the YWCA took an active role in assisting refugees by providing food, shelter and clothing to over 2000 people. The organization was first located during the 1890s in a small storefront space where they provided a lounge and operated a cafeteria at 1104 ½ Second Avenue. In 1901, the operation moved to the Curtis Building at Second Avenue and Union Street and in 1904 moved to the former quarters of the Rainier Club in the Seattle Theater building on Third Avenue and Cherry. By 1906, the organization had a membership of nearly 1400 women. During this period they acquired several houses – some on Queen Anne Hill - in order to provide boarding facilities for girls and purchased 18 acres of property on Bainbridge Island for use as a summer camp (Camp Yeomalt) facility. By 1909, the YWCA was housed in a cottage located on the current site at Fifth Avenue and Seneca Street. Under the leadership of board president Mrs. Emma Wood the YWCA board devised a fundraising campaign in order to construct a new permanent building in downtown Seattle. They established a restaurant and hostess house at the Alaska-Yukon-Pacific Exposition during the summer of 1909. This enterprise netted a profit of $12,000 and enabled the organization to make a down payment on the building lots at Fifth Avenue and Seneca Street, which cost $60,000. The organization then undertook a whirlwind fundraising drive by canvassing downtown businesses and working women for contributions. They promoted a “Buy-a Brick” campaign - selling individual bricks for a dollar - and were able to sell all 93,000 bricks required to clad the new building. The building was completed at a total construction cost of between $325,000 and $350,000 and dedicated on May 24, 1914. The new building, at the time of construction, was the only fireproof YWCA building on the West Coast. The modern eight-story facility made it possible for the organization to further promote the social advancement and economic independence of women, especially those working and/or living in downtown, through education and training opportunities and recreational activities. In addition to providing employment counseling, job training and housing placement, the organization also actively pursed gaining voting rights for women and racial/gender equality and fair pay in the work place. The Seattle YWCA building is a notable example of Beaux-Arts Italian Renaissance style design; however, the original design concept included a roof garden, penthouse and tower that were not constructed. The building was designed by Edouard Frere Champney (1874-1929), one of the few Pacific Northwest architects to possess formal Ecole des Beaux-Arts academic architectural training. His skills and knowledge enabled him to participate in the design of Beaux Arts eclectic style buildings at several turn-of-the-century expositions, including: the U.S. Government Pavilion at the Lewis and Clark Exposition in Portland, Oregon (1903-04); buildings and grounds at the Pan-Pacific International Exposition in San Francisco (1912-14); and serve as chief designer on the Alaska-Yukon-Pacific Exposition in Seattle (1909). Champney formed a partnership in 1909 with August Warren Gould that produced several notable Seattle and Vancouver B.C. commissions until it was dissolved in 1912. Gould appears to have had some limited role related to the supervision of the construction of the subject building. Another notable Beaux-Arts design by Champney is the Elks Temple, Tacoma (1914-15). The new YWCA building housed a wide range of services and activities offered for women and girls, including: a large theater/meeting room; hotel accommodation for 180 short-term transient guests and permanent boarders; a public tea room; a large cafeteria; two private dining rooms; social rooms; a basement level swimming pool; a two-story gymnasium; a chapel; and childcare facilities, in addition to office, club and classroom spaces. The vocational training program held classes in millinery, dressmaking, cafeteria work, manicuring, and salesmanship. A home economics program prepared girls for marriage or for domestic work. The YWCA also developed relationships within the local business community in order to arrange for job placements and promote better workplace conditions for women. The Seattle YWCA has had a lengthy history of community service and social activism, providing services and assistance to women and families in need during the particularly difficult periods of WWI, throughout the Great Depression and WWII era. It is the largest and the oldest YWCA facility in Washington State and has been continuously used by its original occupant organization for its intended purposes; however, over the years the organization has evolved in order to meet the ever-widening professional, recreational and emotional interests and needs of the women it serves. In the early-1950s the building was remodeled (designed by Robert Durham and Associates) and updated to address then current organizational needs and its evolving mission, by creating additional meeting and residential spaces and modernizing portions of the exterior. In mid-1980s the building was renovated by Stickney Murphy Architects. Although the interior has been significantly altered, the exterior is relatively well-preserved; and the building possesses historic significant a the headquarters of a major women’s organization and due to its association with community service and social activism. Furthermore, the building is a notable example of Beaux-Arts design and the career of a noteworthy architect, Edouard Frere Champney. Prominently located at the SE corner of Fifth Avenue and Seneca Street, this eight-story building was designed and constructed to serve as a women’s club building intended to house a variety of uses, specifically for the benefit of women and girls, including transient hotel accommodations and athletic, social and educational activities. The building measures 120’ x 120’ and exhibits a three-part vertical block façade composition and Italian Renaissance Revival style architectural features and details. The reinforced concrete structure includes a concrete foundation and basement and is primarily clad with red and buff color brick, smooth light grey granite and buff color terra cotta trim and ornament. The 2½-story building base encompasses the basement level windows and the first full two stories of the building. Each of the principle elevations is dominated by seven bays of Italian Renaissance-inspired, tall arched window openings. Smooth granite laid with flush mortar joints distinguishes the basement window level, which is separated from the upper portion of the base by a wide cast stone watertable course. On the stone course is a pair of matching copper plaques at the corner of the building inscribed with “YOUNG WOMEN’S CHRISTIAN ASSOCIATION”. The first two floors of the primary facades are distinguished by buff color brick cladding and large arched, wood-frame windows with wood spandrels. Formal entry vestibules are centrally located off of both Fifth Avenue and Seneca Street. A pair of original ornate lamps flanks both entrances. Two original circular terra cotta medallions with images of women also flank both doorways. The base is capped by foliated intermediate cornice. The shaft extends four floors with symmetrically placed, wood frame, double-hung 1/1 windows with terra cotta sills that are set in pairs at each of the seven structural bays. The shaft is clad with a dark red brick laid in a Flemish bond that contrasts with the buff color brick cladding at the base. Small diamond-shaped brick and terra cotta panels decorate the brick spandrels at the 5th and 6th floor levels. The shaft is separated from the cap by a distinctive terra cotta belt course with a balustrade ornament that corresponds with the window bays and a narrow central balcony with balustrade at the Fifth Avenue elevation. The building is capped at the upper two stories with broad Italian Renaissance-inspired arched window openings within which are recessed sets of windows at each level. The windows are separated and trimmed by tall slender colonettes with ornate Corinthian capitals and surmounted by arched terra cotta panels with oculus windows above. A narrow horizontal string course unifies each of the arched opening which are surmounted by arched mouldings. The building cap is terminated by a prominent denticulated cornice. A highly ornate roofline balustrade was removed after the 1948 earthquake. The existing double-hung windows appear to be original. Virtually all of the original basement level windows have been replaced with glass block windows. During a 1950s era remodel, glass doors replaced the original ornate, classical surrounds at the building entrances. During a 1980s remodel, the current historically compatible wood and glass doors replaced the 1950s doors. Historically, neither of the entryways had awnings or canopies. During the 1950s remodel, arched plastic awnings/canopies were installed over both entrances, but have been removed. During the 1980s remodel, flat canopies with metal scroll brackets were installed. The first floor interior originally had an imposing lobby of splendid proportions. Concrete and plaster Corinthian columns extended from the ground floor to a second floor balcony, with a decorative balustrade. The lobby had an elaborate fireplace and a distinctive tile floor. During the 1950s remodel, the lobby was dramatically changed. The lobby no longer extends two floors. The second floor balcony was infilled to provide for additional office space. The altered lobby now consists of a low dropped (plaster) ceiling, recessed and inset ceiling lights, plasterboard walls, and a vinyl composition tiled floor. The fireplace has been removed and all the original furnishings have been replaced. The original music room and reception room on the first floor are currently used as offices. The former assembly hall/auditorium at the east end of the first floor has been converted to daycare classroom use. The room still retains the original stage and some of the ornate ceiling cornices and concrete and plaster Corinthian columns. The former clubrooms, which face Seneca Street, have retained some of their decorative ceiling cornices and columns, ornate ceiling medallions, and original wood frame, arched windows. During the 1950s remodel, fluorescent lights were placed over the medallions, and a couple of the windows were covered over. The second floor rooms facing Seneca Street originally included three clubrooms, a library, lounge, and a tearoom. During the 1950s remodel, they were partitioned into offices and a conference room, and the tearoom was closed. During the 1950s remodel, the 4th floor hospital suite, and the kitchen, cafeteria, and dining rooms on he 6th and 7th floors were closed. The original 7th - 8th floor gymnasium (which extended between the two floors) and a balcony/running track were infilled to provide space for additional hotel rooms. Vocational training classrooms were originally located on the third and fourth floors. They were closed to make room for additional hotel units. During the 1950s remodel, small kitchens were added on all the resident’s floors. A tennis court was originally located on the roof top of the building. It is currently closed. Currently, rooms on the 4-8 floors are for extended stay occupants, while the 3rd floor is an emergency women’s shelter. Harvey,David. "YWCA Building" Draft National Register of historic Places Nomination Form, August 2006.